"MMMMM...Vegan Brownies!!!! These are very gooey, which is a good thing in my book. However, if you want your brownies a little more solid you'll need to cook them longer than the recommended time. Great for people with egg or dairy allergies too!" 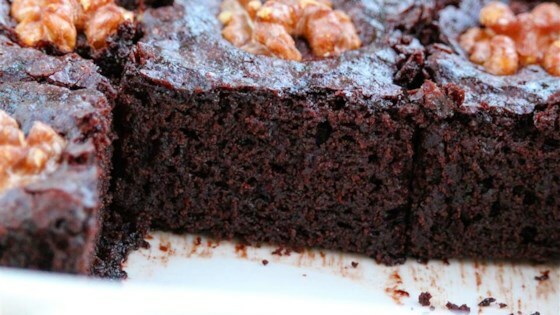 A great chocolate dessert for people who avoid dairy and eggs. These are only vegan if you use raw sugar. If you use white sugar they are not even vegetarian, as animal bone char is used in the bleaching process.